This week's The United Grapes of America features a wine from Michigan, the Ship of Fools from Chateau Grand Traverse. While sampling this wine at Wholefoods, another customer was shocked that Michigan produced wine. Andrew Stover, Vino50 Selections, responded that Michigan shares the all important 45° north latitude with Burgundy, Northern Rhone, and Oregon's Willamette Valley AVA. 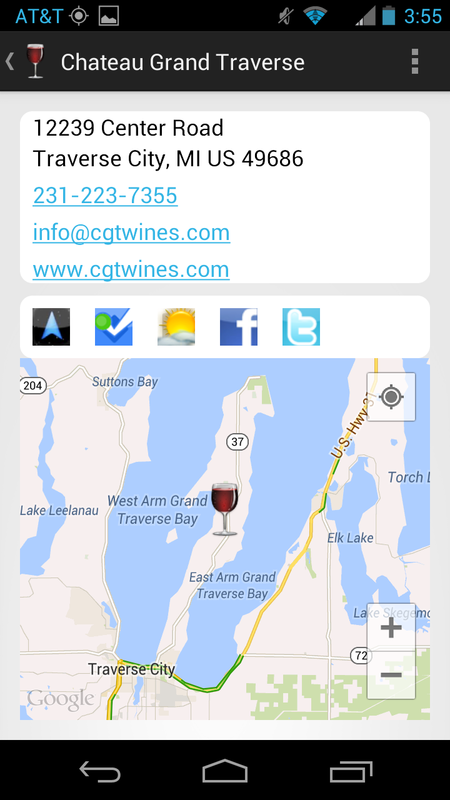 And with over 100 wineries, the Michigan wine industry is nowhere near a nascent industry. Chateau Grand Traverse has been operating for over three decades - specializing in Riesling, but for this post we feature their Ship of Fools ($15) Pinot blend of Pinot Blanc, Pinot Gris, and Pinot Noir. That may be a one of a kind catch. Obviously the 45° latitude caters to Pinot and the 55% Pinot Blanc provides a suitable bearing to savor this wine, with the Pinot Blanc the sails and the Pinot Noir the nautical rustic charm. Seriously, this is a nice wine - balanced between the subtle grapefruit flavor and mild acidity - with good texture in between. I would also recommend pairing any Pinot Blanc based wine with food. And take a voyage through the Great Lakes to Lake Traverse Michigan. Cheers. The Willamette Valley is in Oregon.